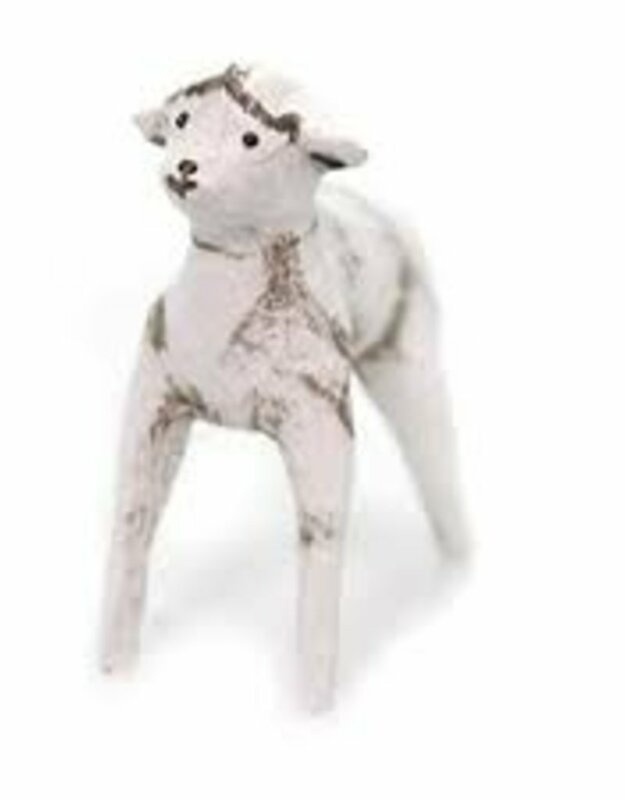 Add this little sheep figure to your Nativity collection. The manger scene representing Jesus' birth is comprised of a creche with Mary and Joseph placed closest to it, and then the shepherds and wise men circle around the couple. The animals that were originally thought to be in the stable in which Mary and Joseph sought refuge would be around the edges of the display. 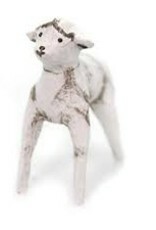 Add this sheep to your Lori Mitchell Nativity collection, or have her compliment a Spring or Easter display.